Marked by the usage of advanced technology, we are presenting a broad assortment of Vertical Color Mixer. 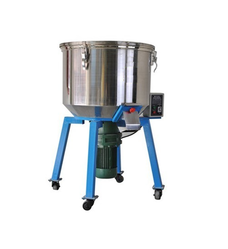 Suitable for blending for granule like materials, this vertical mixer is manufactured in accordance with set industrial norms. Our experienced quality inspectors completely examine this vertical mixer on several parameters for ensuring its flawlessness. Looking for Vertical Color Mixer ?